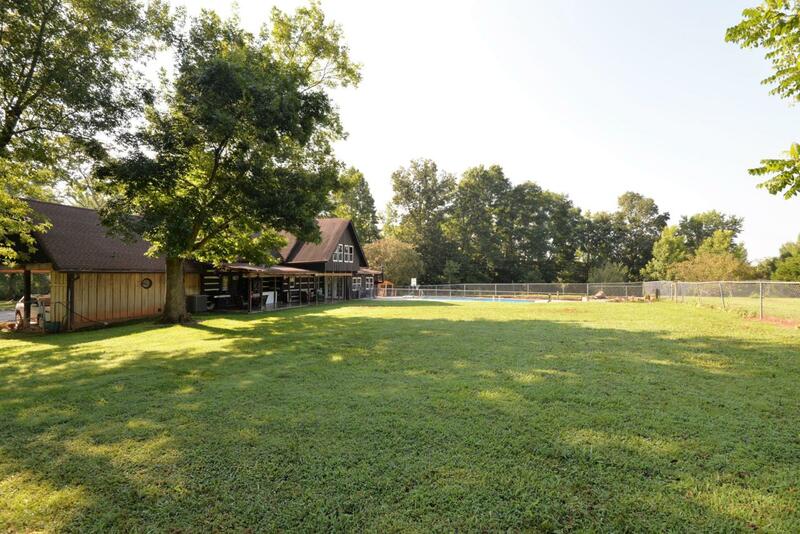 Unique opportunity to own an authentic log cabin, perfectly situated on 34 +/- acres with an in-ground, heated salt water pool, separate office, generator, barn with 3 stalls, RV carport, picturesque mountain views, meandering creek, fenced, cross-fenced and ''watered'' pastures and plenty of beautiful and serene spots to hike or commune with nature. Per the seller, the cabin was originally built sometime in the late 1800's and then brought here and reassembled by the Humphries family around 1978. 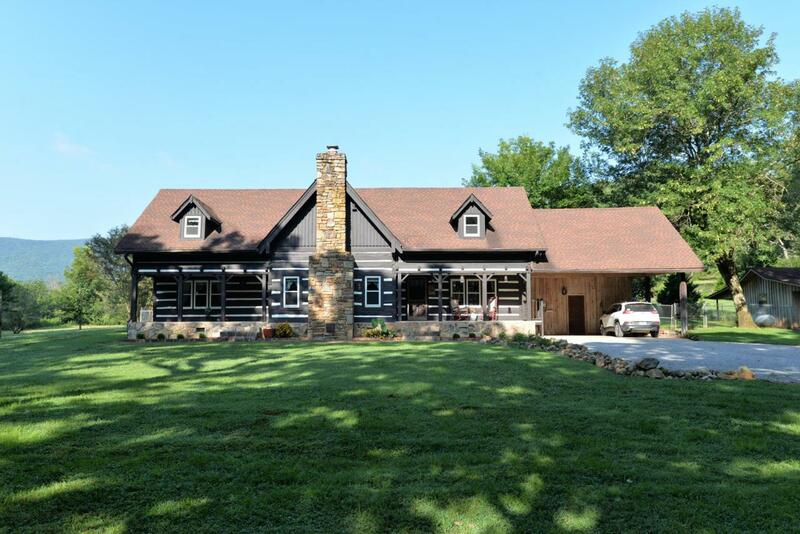 After an addition in 1983, you now you have an absolutely amazing place to call home or the perfect gentleman's farm less than 30 miles from downtown Chattanooga. The covered front porch leads to the kitchen and dining area with a large gas fireplace, granite island, cooktop set in an brickalcove, wall oven and microwave and access to the rear covered slate tile patio. A recessed area houses your kitchen sink, fridge and dishwasher and also has granite countertops with tile backsplash and under-cabinet lighting. The family room is vaulted with a fitting wagon wheel chandelier and wood burning stove. The master bedroom is spacious and has French doors to the sunroom, also with slate tile and an additional wood burning stove. The shared bath has a granite, furniture style vanity and a claw footed tub with air jets. The upper level is versatile and the rooms could be used in a variety of ways. The landing is currently set up as office space and has a wet bar that was originally built to service a rear deck on this level which was enclosed and is now being used as one of the bedrooms. Another huge bonus room is being used as a bedroom, and the 2nd master is being used as a bonus room and has great closet/storage and a private bath with separate vanities and walk-in shower. 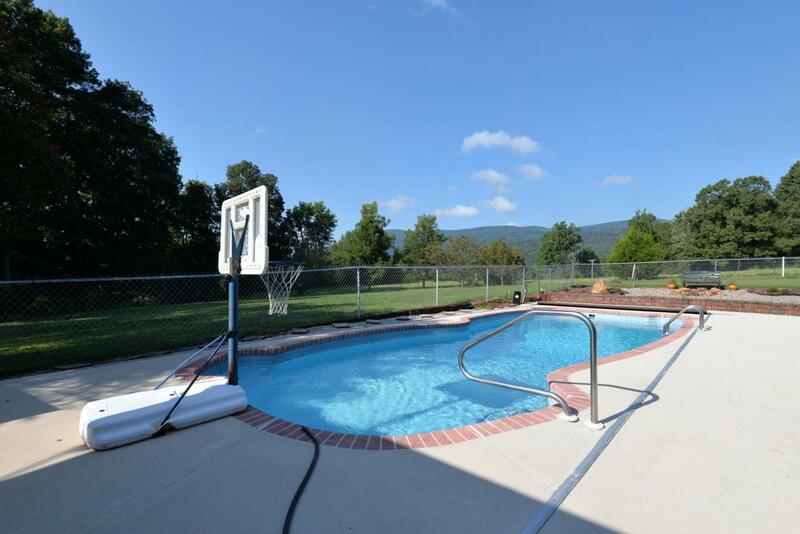 The rear slate patio spans the back of the house and has access to the pool and a large fenced back yard which is perfect to corral the kids and/or pets. A separate workshop is heated and cooled with a wall unit and has a large main room, an additional office space and a half bath. A Mr. Ed style door leads to a rear covered patio and offers a wonderful way to let the outside in while you are hard at work. The barn is currently being used for storage/workshop space and has 3 stalls, water and power. 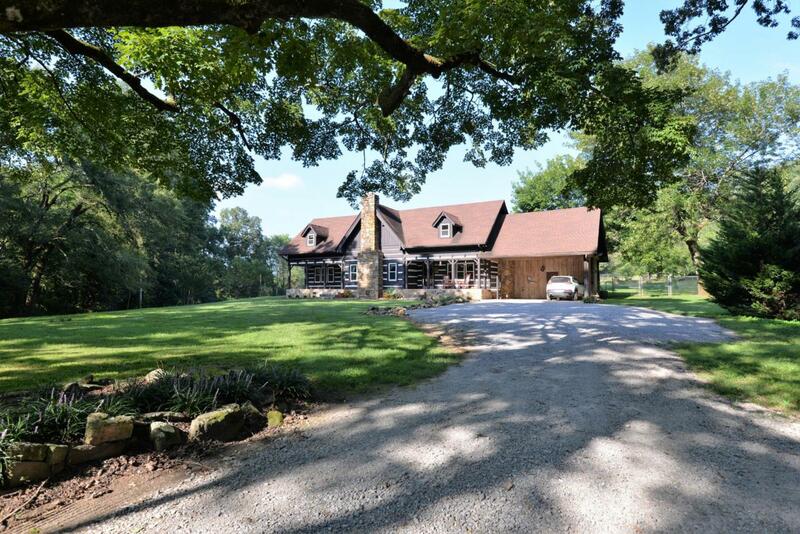 This truly is a wonderful opportunity for someone looking for the kind of privacy that only acreage can provide, scenic pastoral views, a unique log cabin home or all three - so please call for more information and to schedule your private showing today. Information is deemed reliable but not guaranteed. Buyer to verify any and all information they deem important.